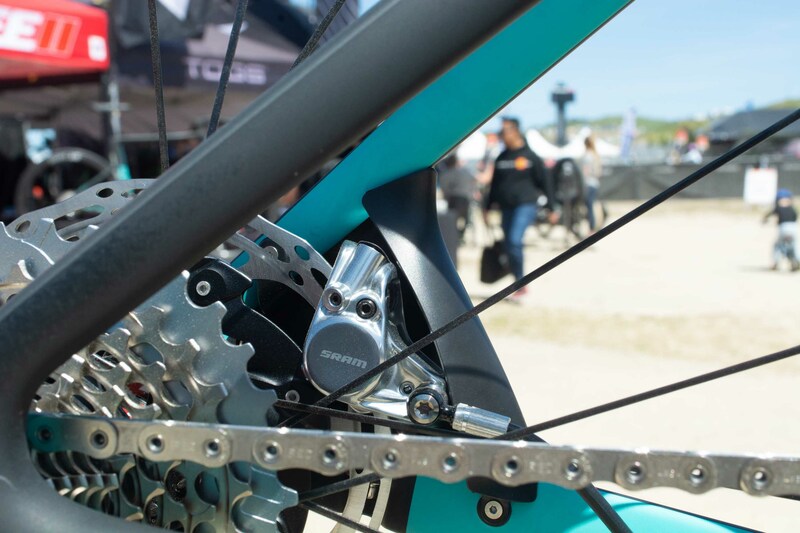 We’ve been at the Sea Otter Classic in Monterey, California checking out all that’s new and wonderful in the world of bikes. Here are some of the most interesting and noteworthy things we saw. • Wide tire clearance is becoming the norm. 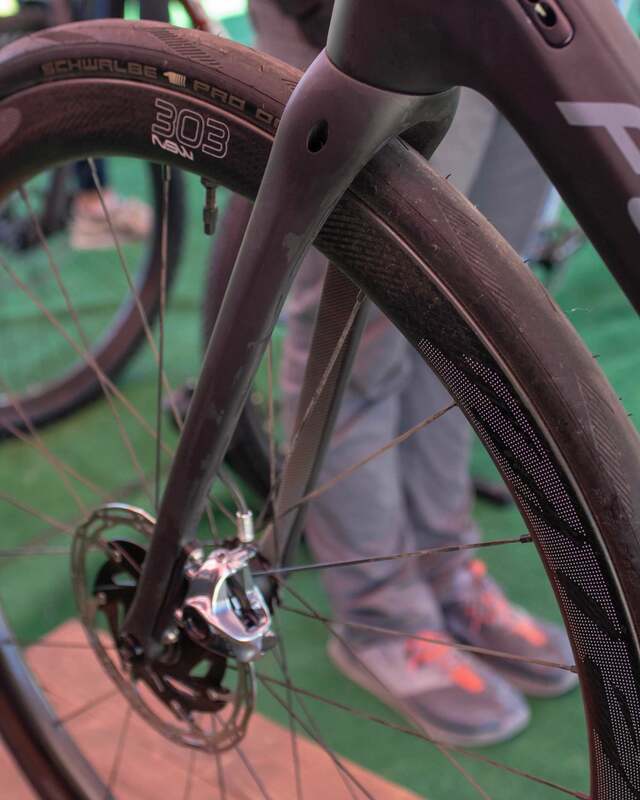 We saw many road bikes with 32mm tire clearance. 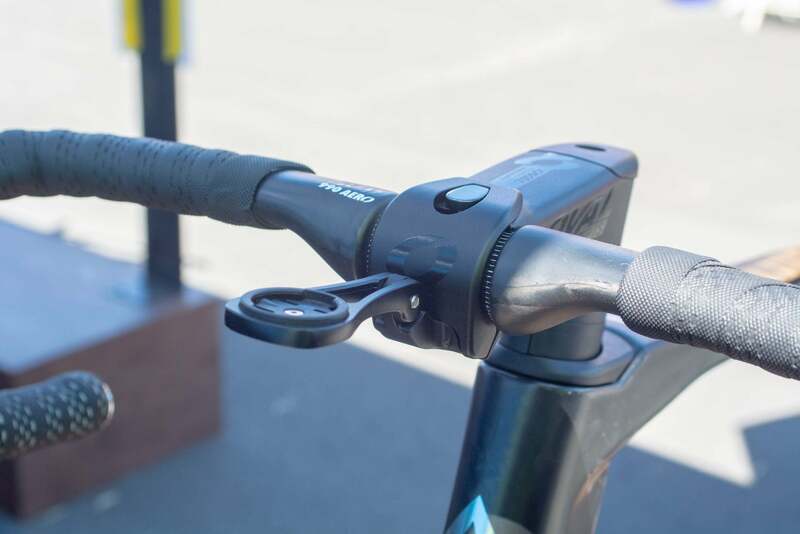 • Integrated stems are becoming less of a hassle thanks to two piece stem spacers that allow adjustment without recabling. • Direct to consumer brands like Fezzari and brand new Remōt are coming out with some exciting, affordable new bikes. 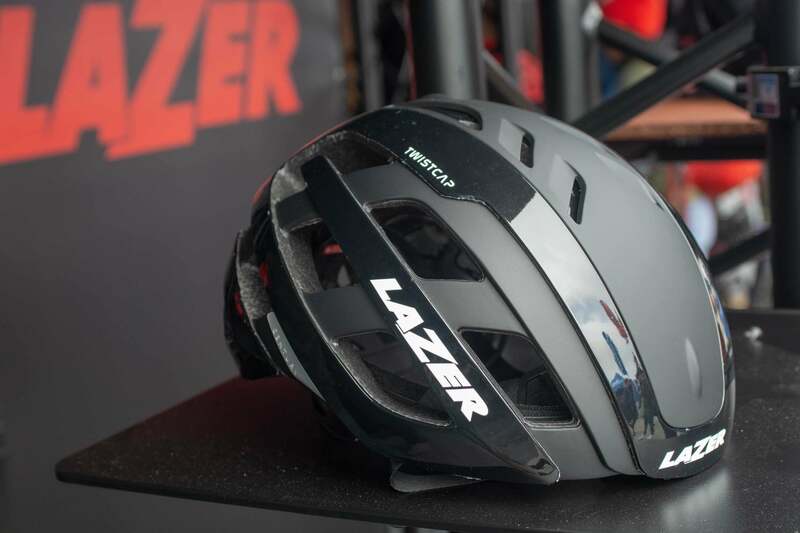 Lazer has been making protective equipment for 100 years now. In honor of that milestone, the company is releasing the Century, an aero helmet that uses its reversible aero Twistcap. The Twistcap attaches magnetically to the top of the helmet, with one side allowing some ventilation and the other maximizing aerodynamics. Removing it completely reveals vents for hot days making this a very versatile helmet. 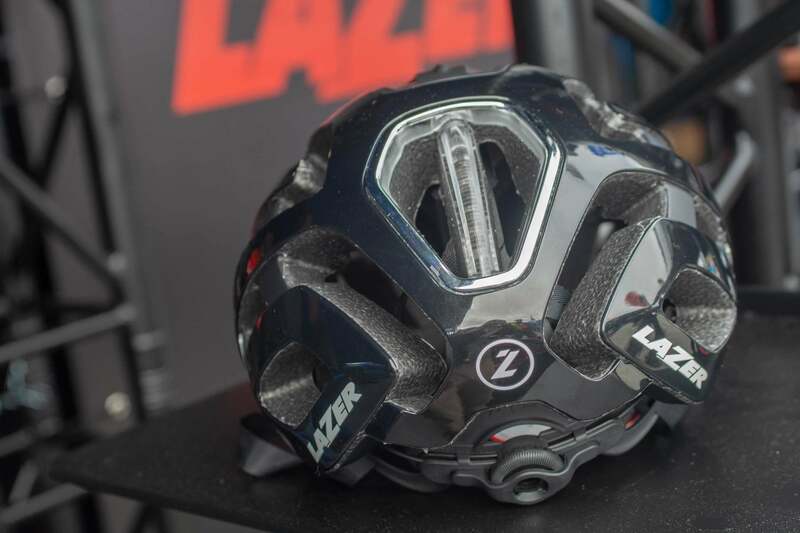 Lazer has also integrated a tail light into the back of the helmet with a claimed 12 hour run time of continuous lighting and 37 hours of flashing. It will be available in the next month. 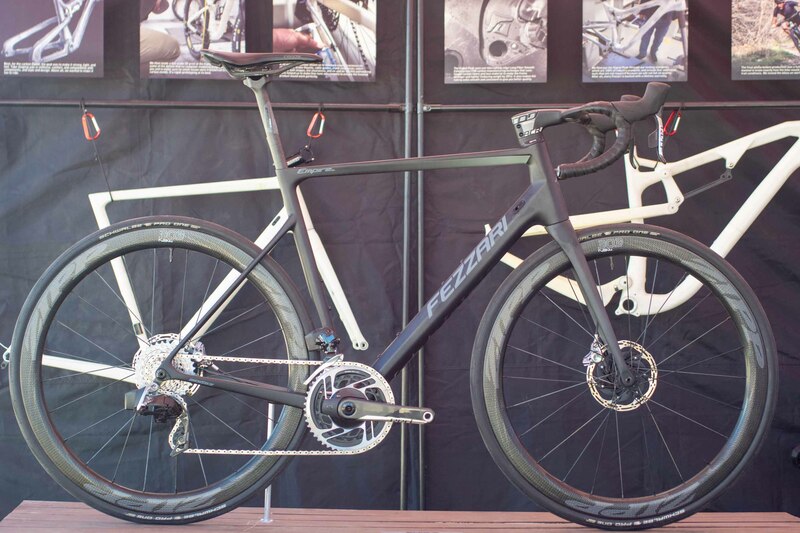 Because most people can only afford one great bike, Parlee wanted to create one bike that will ride very well in most situations. 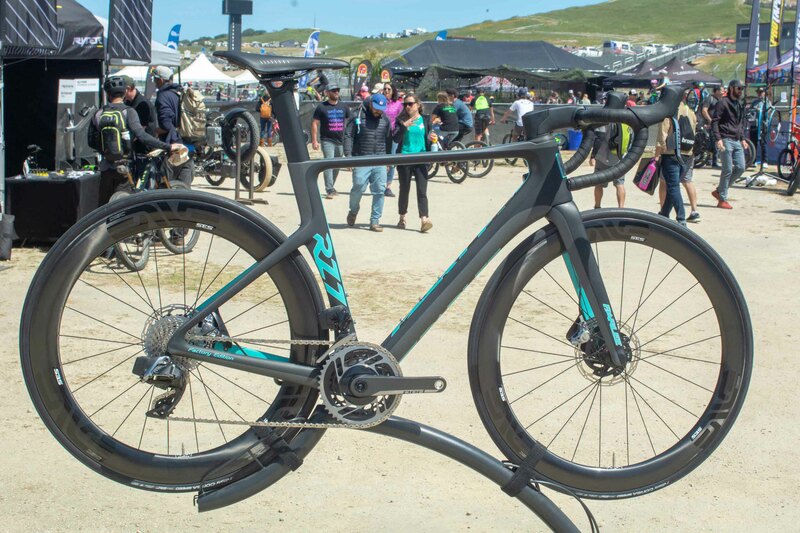 Their answer is the Parlee R27. 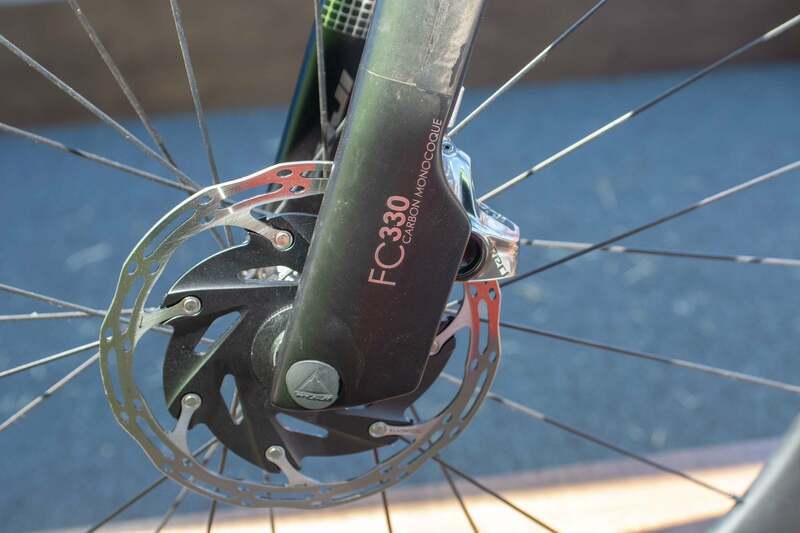 It’s designed to be a balanced, high-performance frame—with aero features like disc brake caliper covers—that isn’t aero at the expense of other ride qualities like comfort. 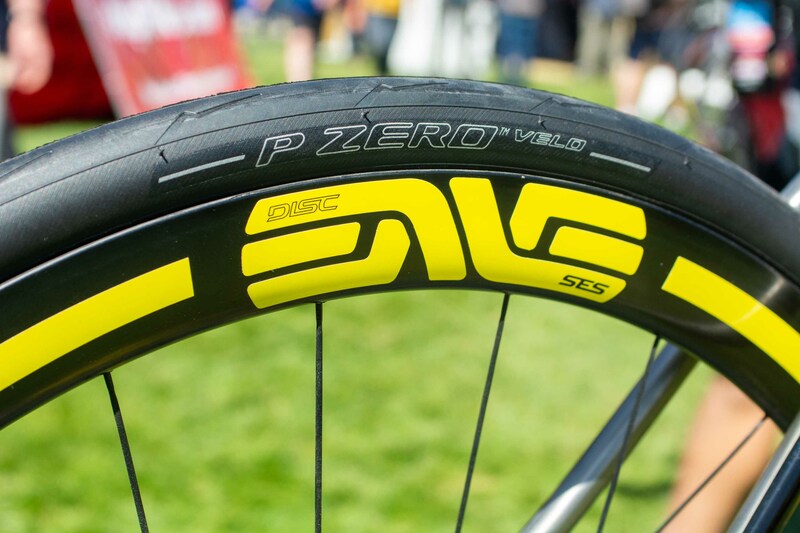 Parlee was also able to add clearance for 32mm tires to add some versatility to the build. 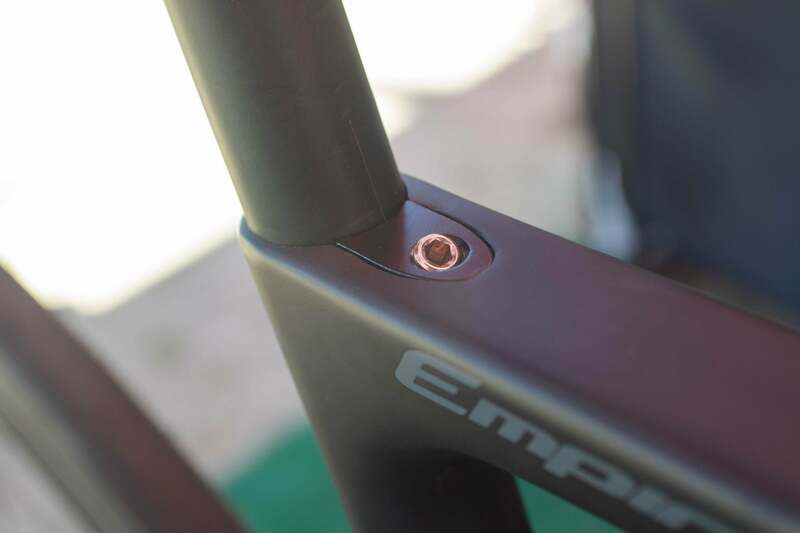 Adjustability on this internally cabled frame won’t be a headache either thanks to stem spacers that come apart in the middle allowing the stem height to be raised without re-cabling. 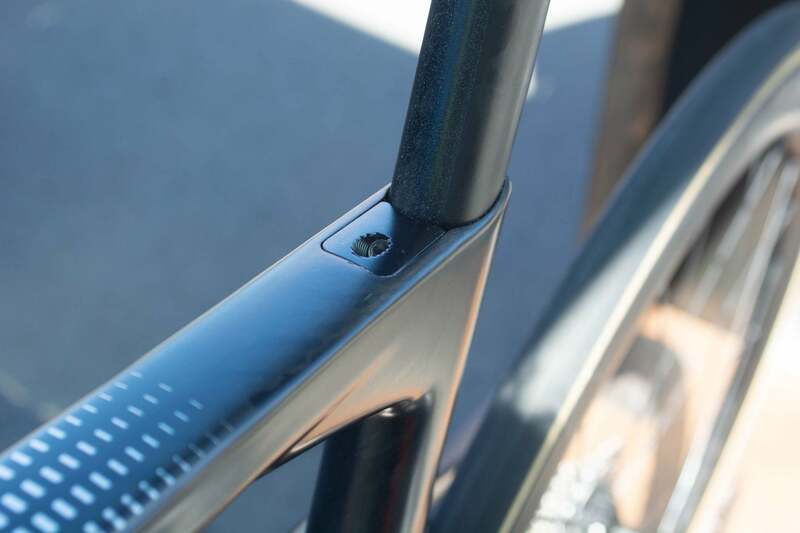 The First 100 R27 frames will be branded ‘Factory Edition’ and come with premium Di2 and eTap builds. The paint shown here will be exclusive to the Factory Edition. 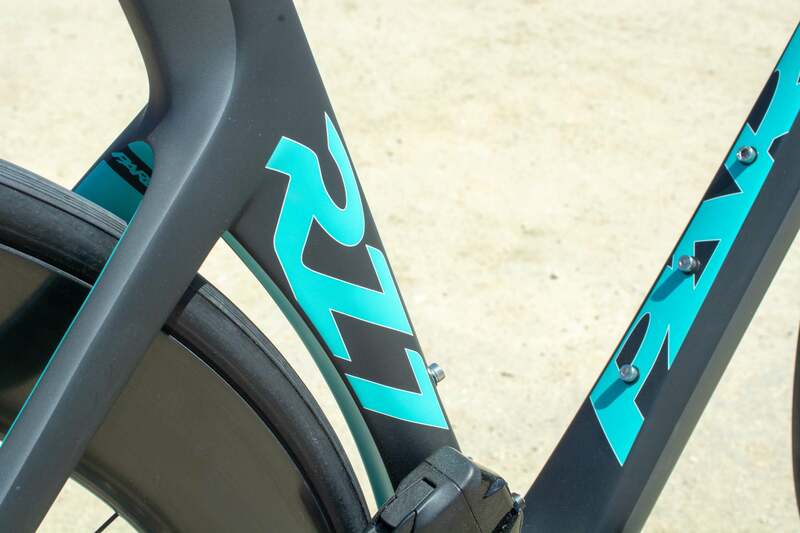 Look for the R27 in May with Factory Edition prices starting at $6594 for Ultegra Di2. But there will be more builds and frameset-only options going forward. 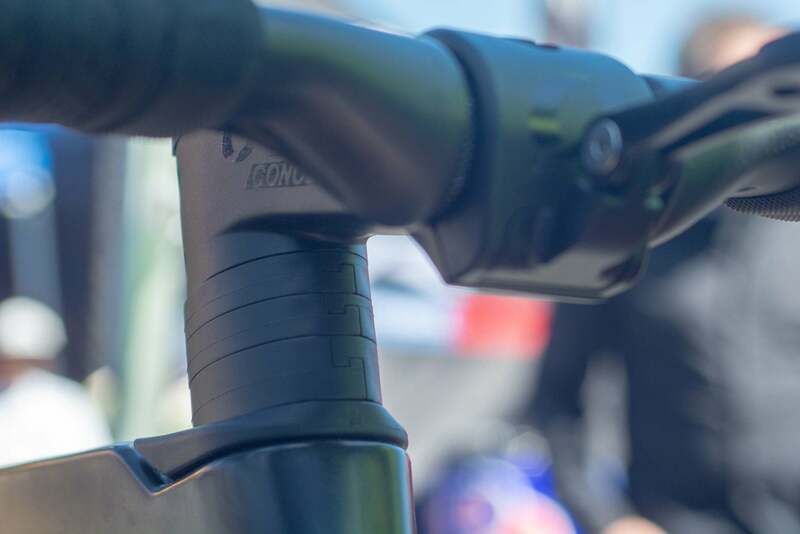 The Parlee’s stem spacers pivot for ease of adjustability. 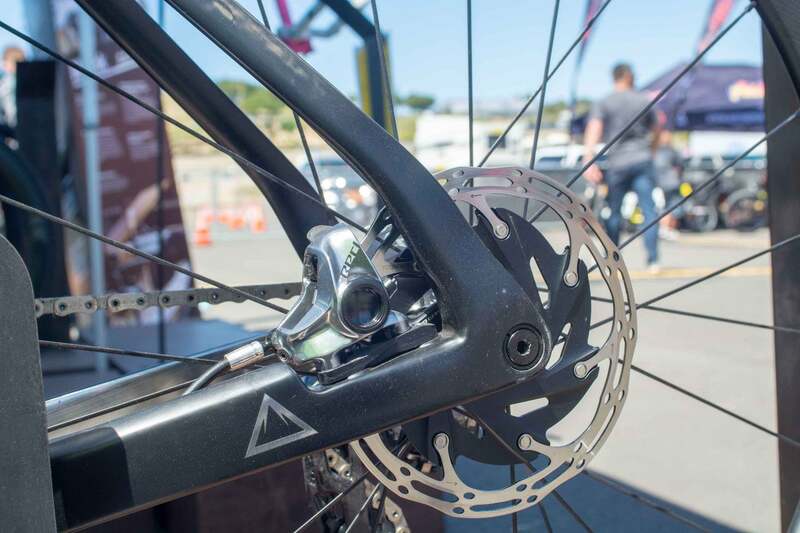 The Parlee R27 brake calipers are shielded from the wind. 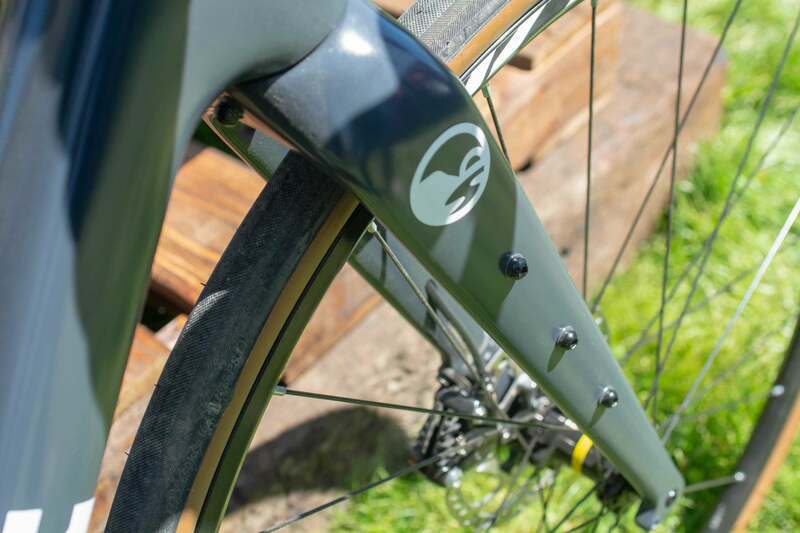 Sage has updated its titanium Skyline model to have disc brakes. But it hasn’t just replaced the brakes, the design has been tweaked slightly to add some modern touches and incorporate feedback from customers. 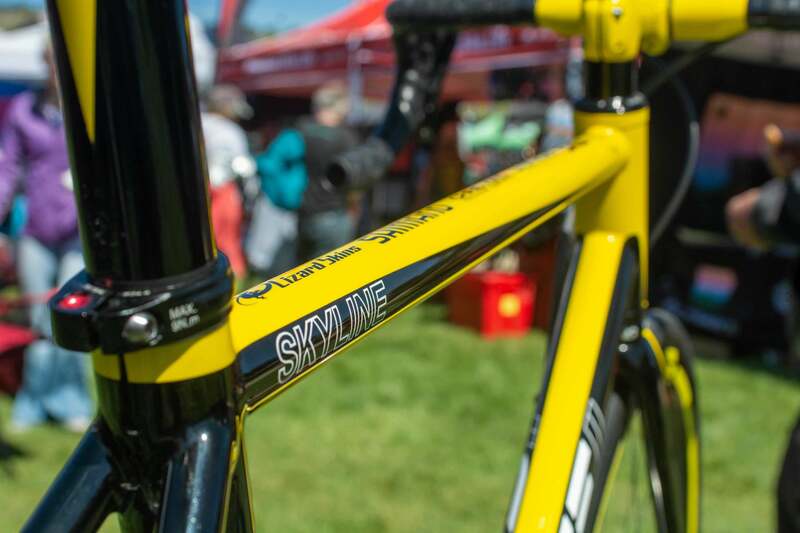 The Skyline now has clearance for 32mm tires without making compromises in the race-oriented geometry which includes 410mm chainstays. 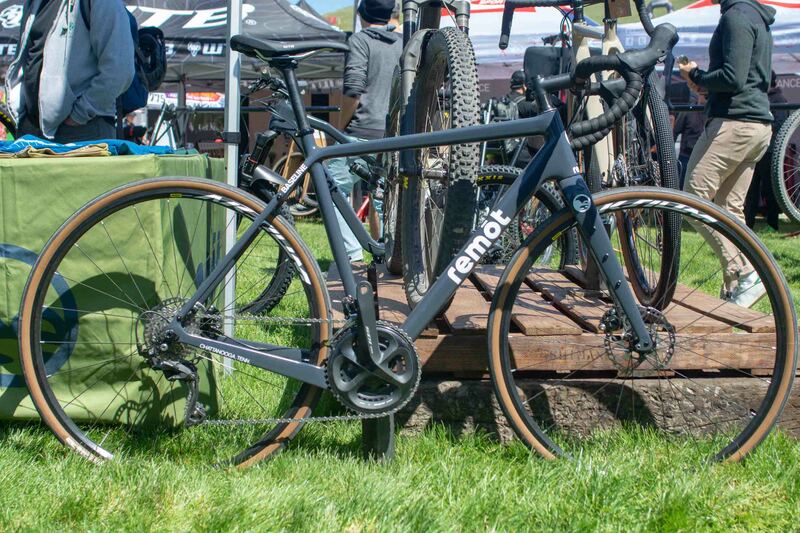 It’s by no means a gravel bike—the high clearance/short chainstay combo leaves very little seat tube clearance—but the option for wider tires opens up new roads, as well as more options for cyclists looking to add a little more comfort to their ride. 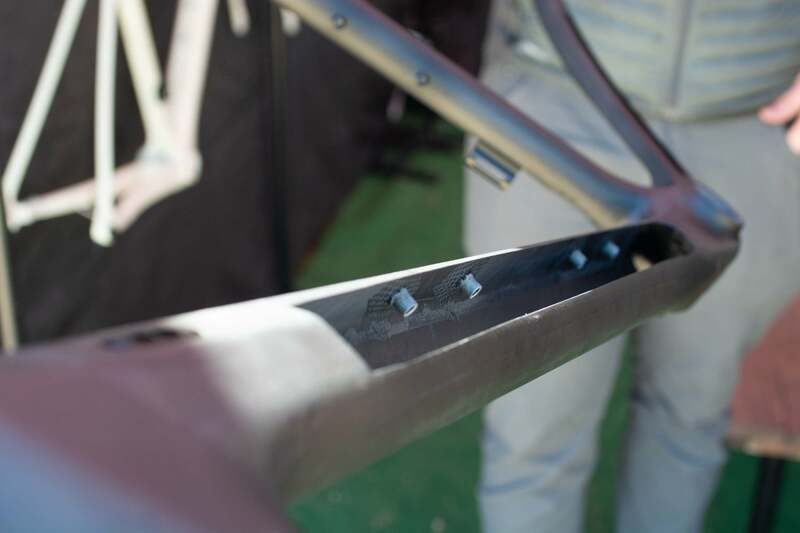 Taking into consideration rider feedback, Sage has also increased compliance by reducing the diameter of the seatstays. 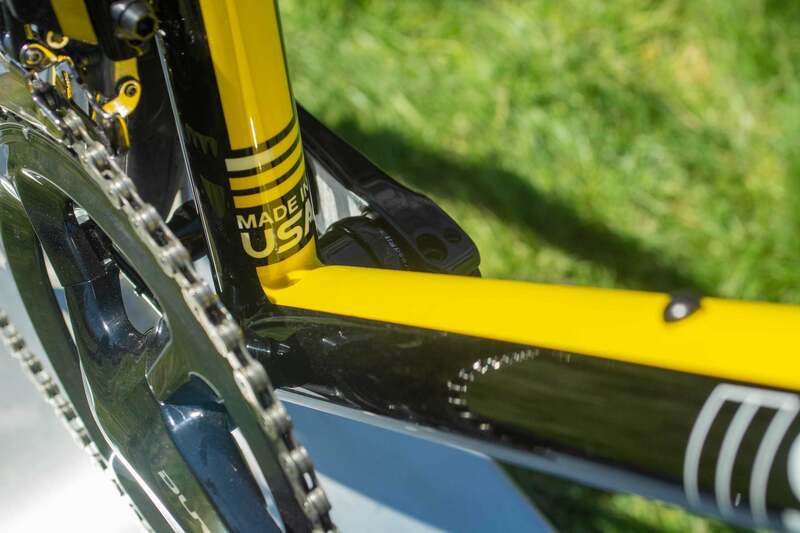 And there’s no need to worry for the rim-brake-diehard crowd, the traditional caliper build will still be an option. 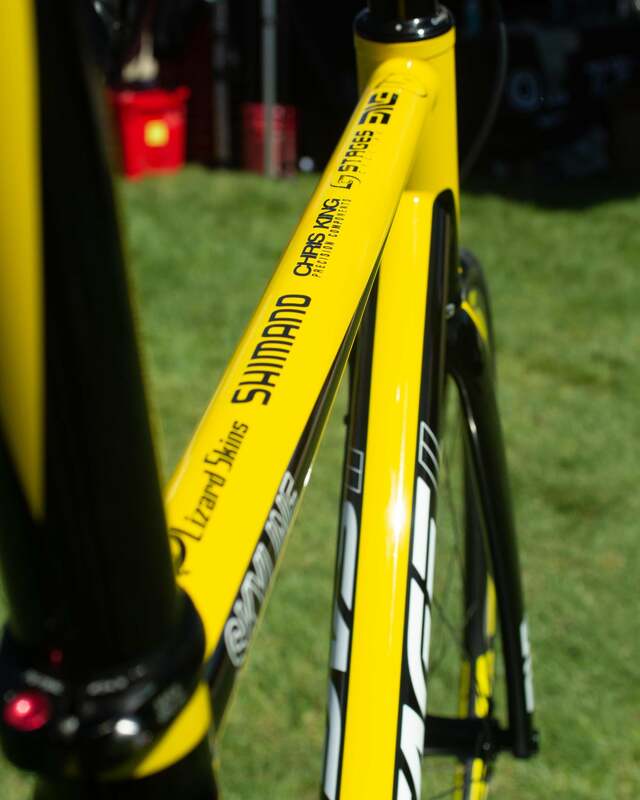 For Sea Otter, Sage painted this bike as an homage to a Renault F1 car, with details to match down to the Pirelli tires. It will be ready to ship in a few weeks and will cost $2900 for a frame. The logos are an homage to a Formula 1 car. The Formula 1 theme even extends to the Pirelli tires, the same brand used in F1. This Sage Skyline paint job was one of the coolest we have seen on a bike in a while. 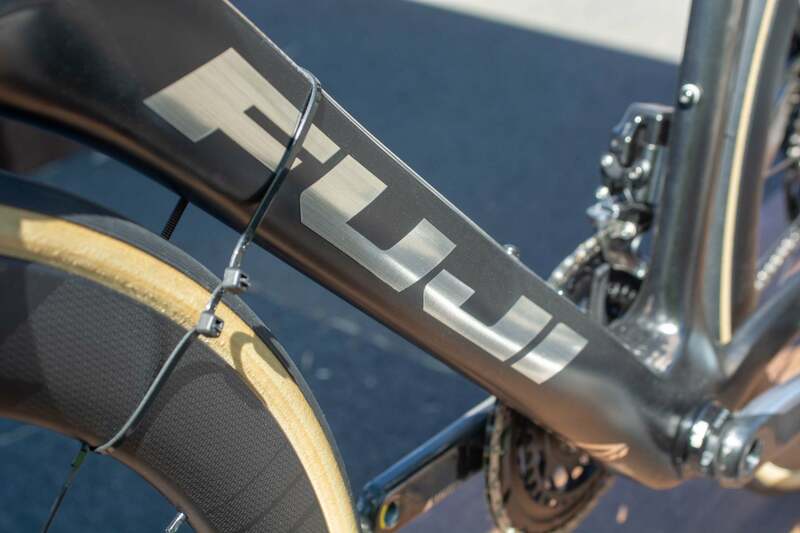 Fuji has a new aero bike that’s full of aero details. 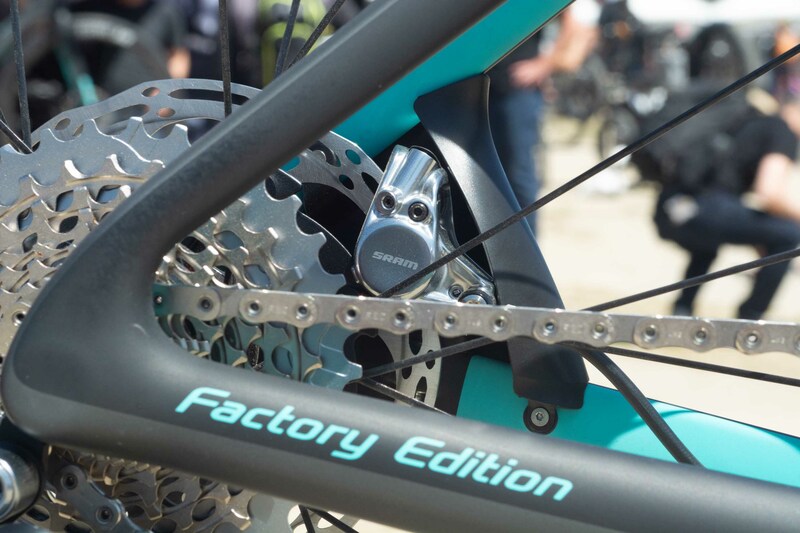 Both brake calipers have been shrouded from the wind to some degree, with the rear caliper recessed into the chain stay which Fuji’s testing showed to be the fastest design across a variety of yaw angles. 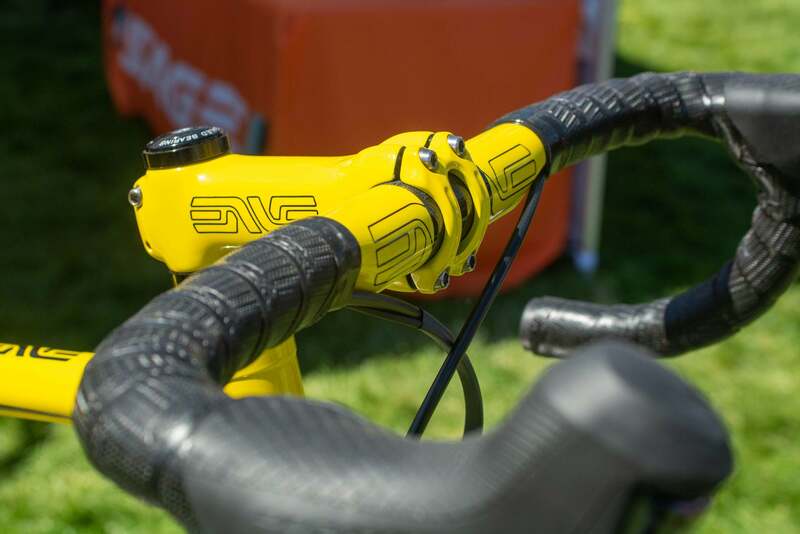 The downtube has been optimized for water bottle aerodynamics with two different bottle cage mounting heights. 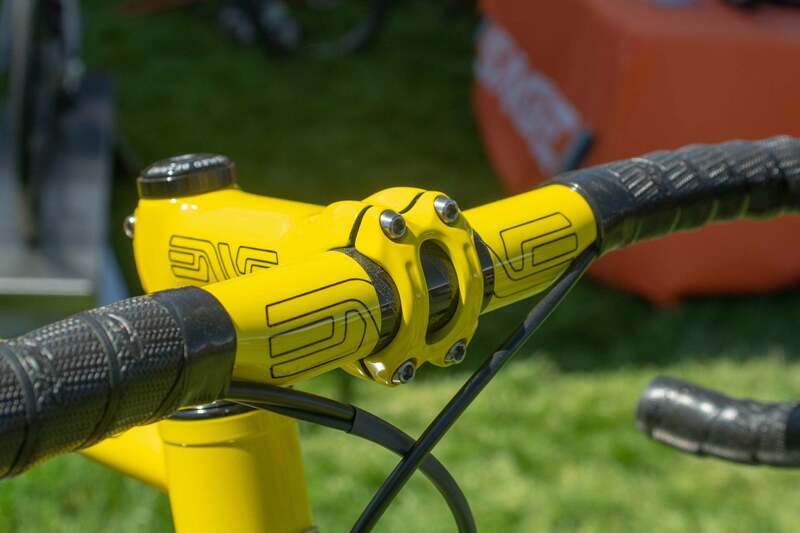 Additionally, the stem spacers come apart in the middle allowing for stem height adjustment without full removal and re-cabling. 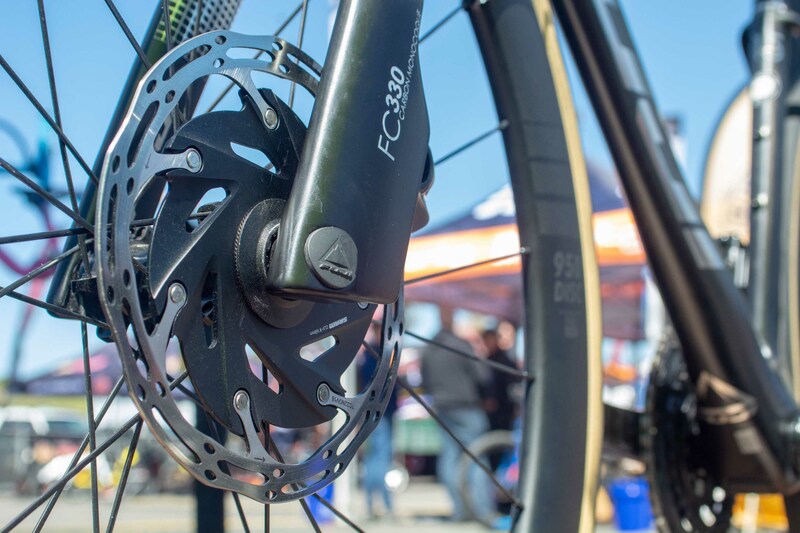 Adjustability has been one of the Achilles heels of integrated aero bikes, so it’s nice to see companies creating solutions. The Transonic 1.1, shown here, is built with Red eTap and will cost $8000. Look for it in June. 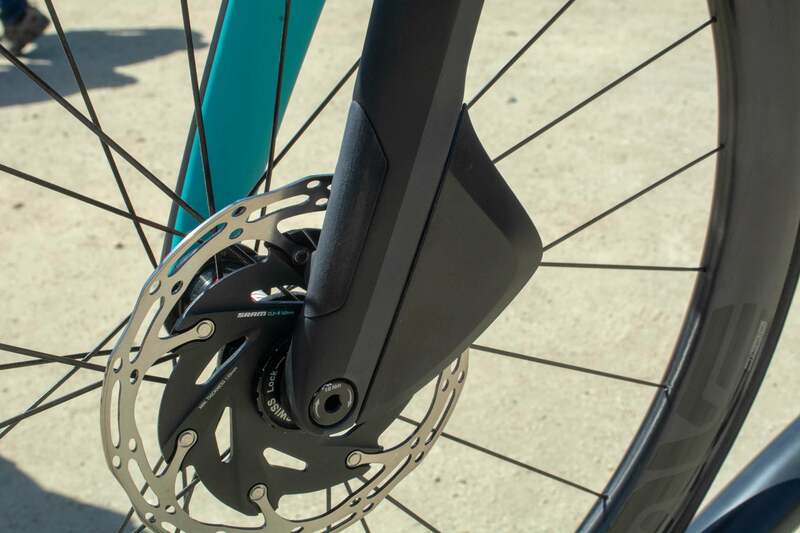 The brake caliper is recessed into the chainstay to minimize aerodynamic drag. 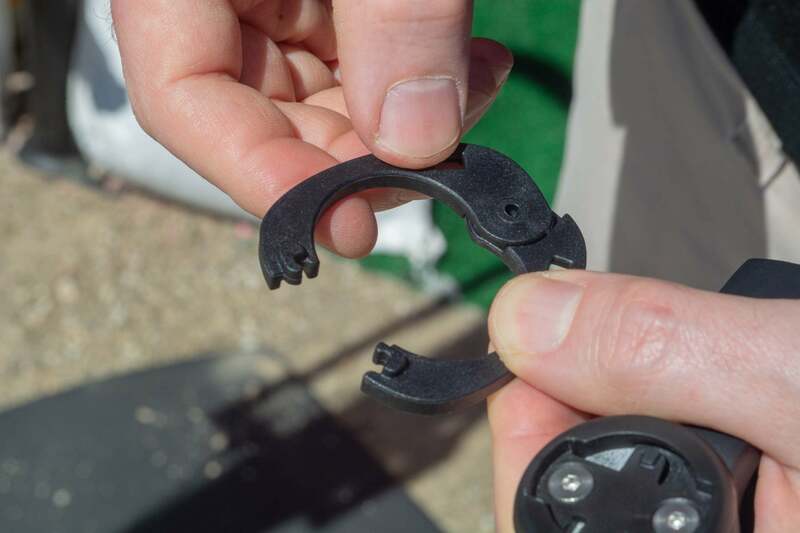 The Stem spacers come apart for ease of adjustability. 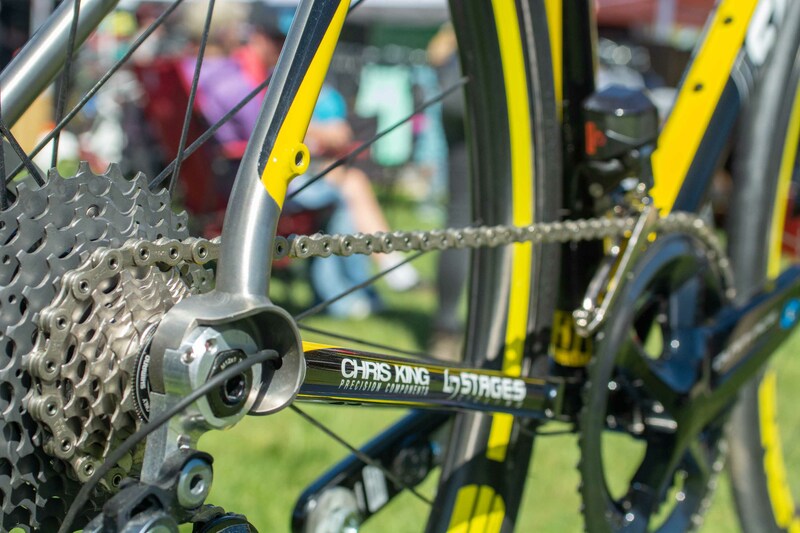 The Transonic comes with an integrated computer mount that is compatible with multiple brands. 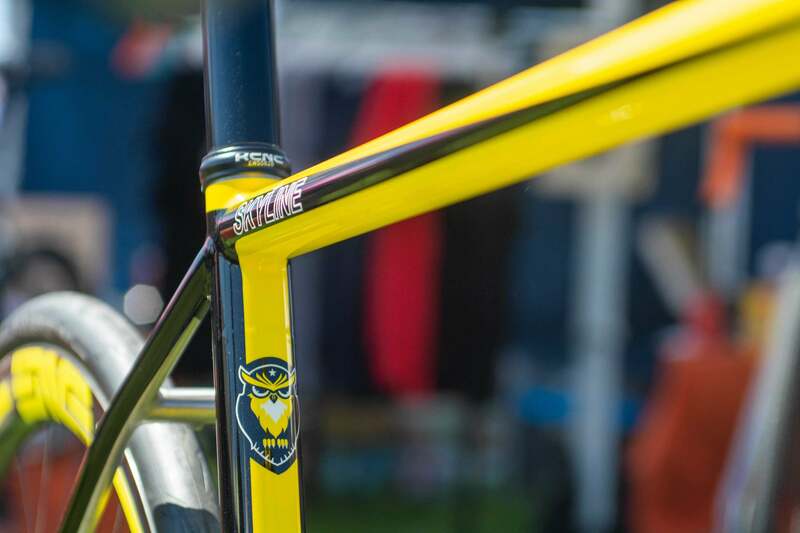 Direct to consumer brand Fezzari out of Utah has a new frame molding technique that creates strong, lightweight frames at a seriously enticing price point. 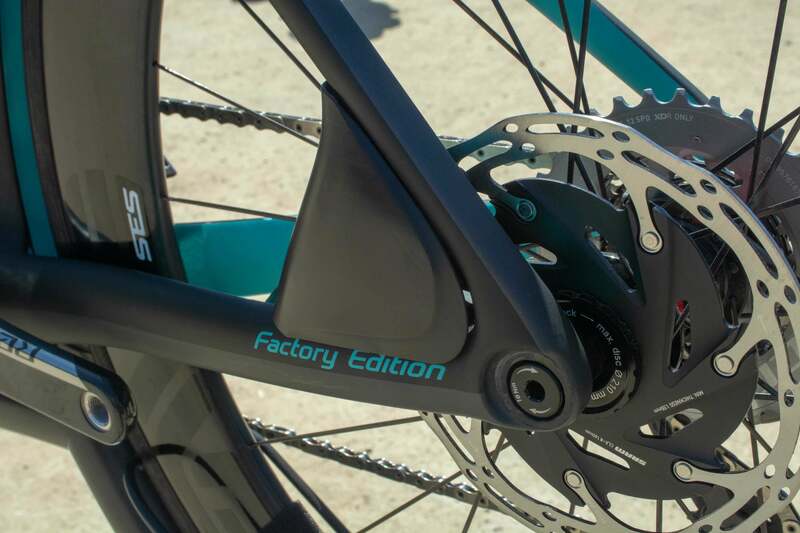 It’s calling the process Monoform and it allows for carbon frames with zero bonding which reduces weight by over 150g compared to traditional carbon techniques. The size medium Empire SL weighs 815g. But it’s not just lighter, it’s stronger too. Cross-country-mountain-bike-impact-standards-passing stronger. And for good measure, this frame has room for 32mm tires. 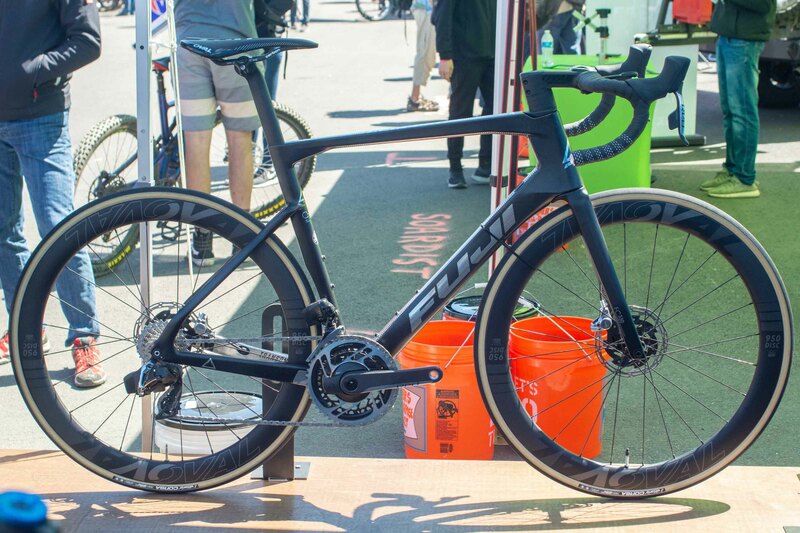 Direct to consumer pricing means you can get an Empire SL build with the new Force eTap for only $4200. 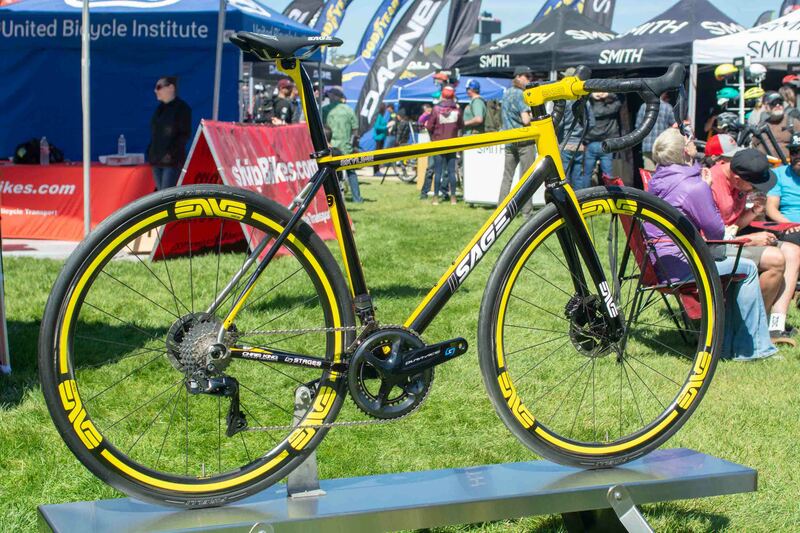 And there’s even a version with lower grade carbon that starts at only $1700 for a complete build. It’s available now, and you’re able to talk to a real person when ordering to make sure everything is exactly how you want it. Fezzari brought a cutout frame to demonstrate its Monoform process that reduces weight and increases strength. 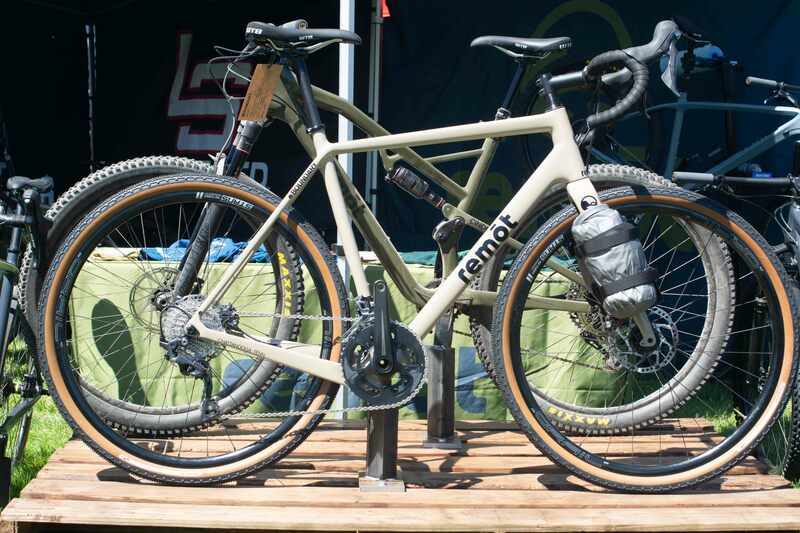 Remōt bikes, pronounced like “remote,” made its debut at Sea Otter this week, but it’s no novice to building bikes—it’s part of the American Bicycle Group, the brand behind Litespeed and Quintana Roo. As a direct to consumer brand, Remōt is all about adventure and mountain bikes that don’t break the bank. 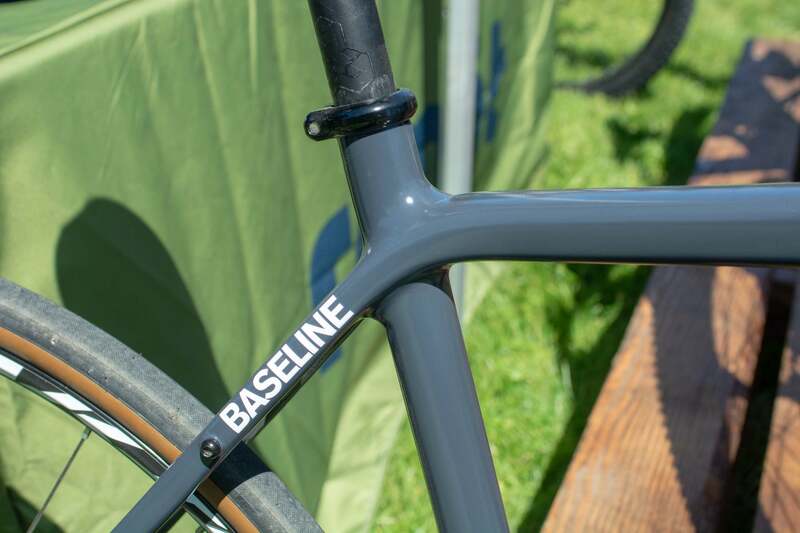 The Baseline is an all-road bike with clearance for 38mm tires and options for bag mounts. The Boundary is the real touring and adventure beast with clearance for up to 2.1” 650b with ample gear attachment points. Like its sister companies, Remōt is based out of Chattanooga, Tennessee. Its logo represents those Tennessee roots, depicting Lookout Mountain in the Chattanooga area. 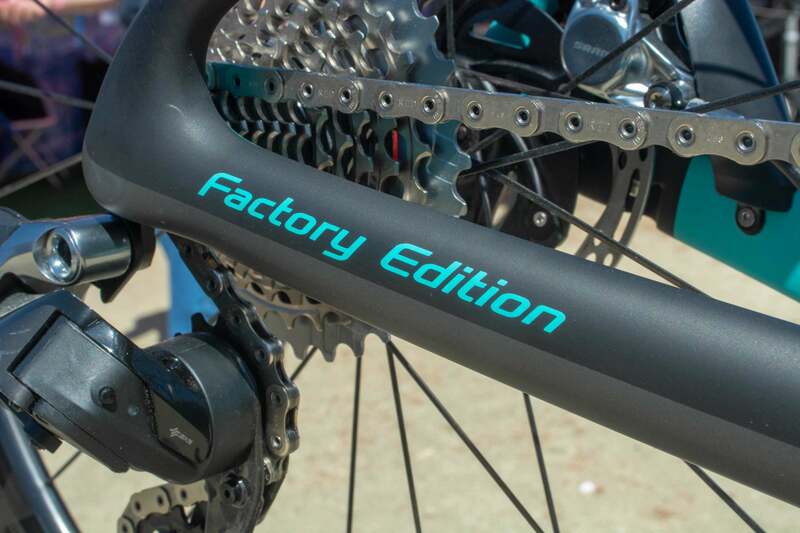 The Baseline starts at just $2,300 for a 105 build, with the Boundary coming in at $100 more. 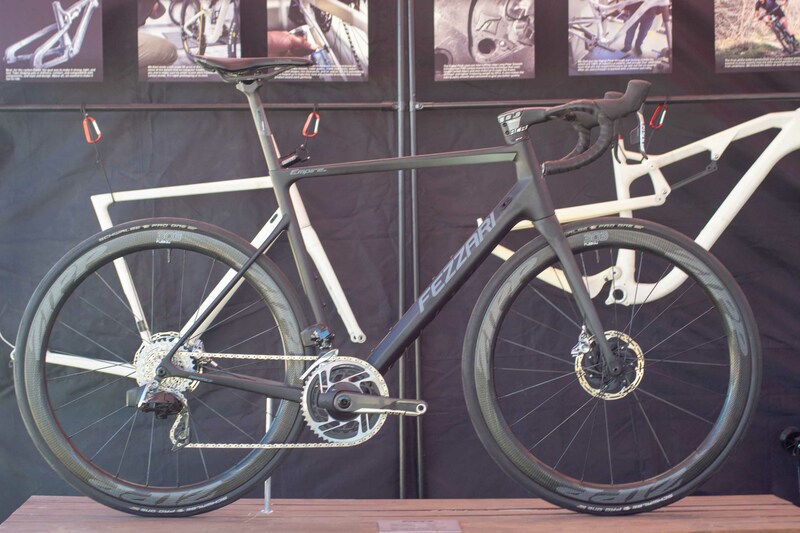 Pricing tops out at $3,700 for an Ultegra Di2 build. 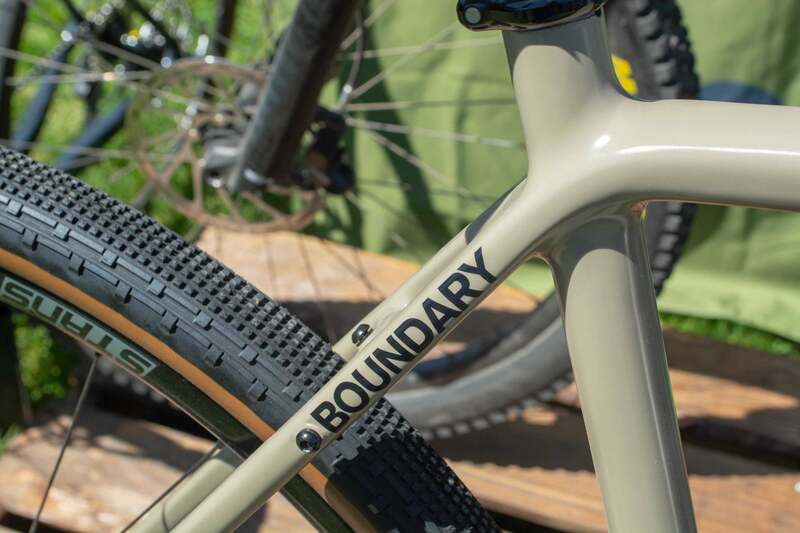 The Boundary has clearance for 2.1″ 650b tires and plenty of gear attachment points. Remot’s logo depicts Lookout Mountain near Chattanooga Tennessee. Used doesn’t have to mean useless. Next time you’re in the market for some new apparel, consider buying used from Pearl Izumi. The apparel company is partnering with the Renewal Workshop to save still usable garments from being landfilled. This Oregon-based company takes apparel that is still good enough for use and cleans it to a meticulous level for resale. 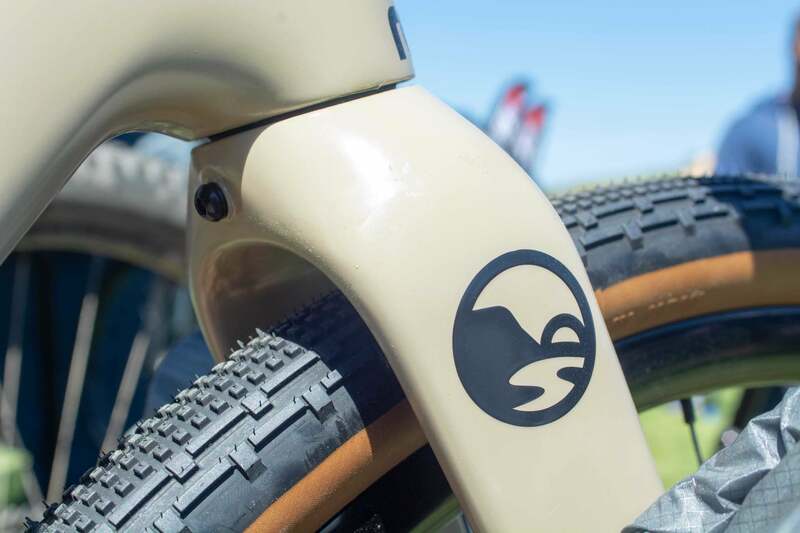 Other than being released in previous years, the used products on display at Sea Otter were indistinguishable from the new items. If pieces are no longer fit for use, they are still broken down for recycling. And the Workshop also provides Pearl Izumi with data on what’s breaking and where so that it can make more durable products in the future. Pricing differs for each garment. 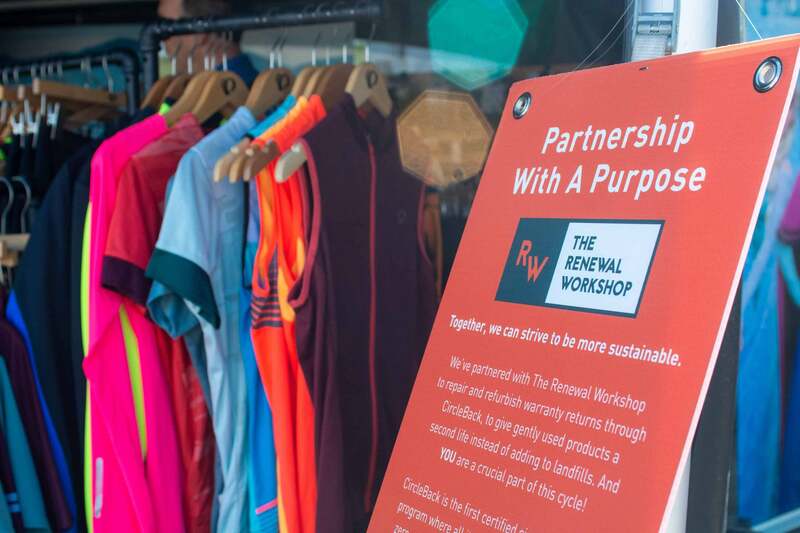 Generally, brands that work with the Renewal Workshop offer a 30 percent markdown over the original prices, but Pearl Izumi is offering steeper discounts into the 50 percent to 60 percent range. Take a look, it’s good for the environment and your wallet. We’re a sucker for nut butter, so all the nut butter nutrition coming out of Clif recently has been right up our alley. And we suspect we’re not alone because the company has another product to add to that list: Clif Cubes. The Cubes are date-based, nut butter filled bites that come in packages of five. They’re connected together but are slightly perforated into bite sized pieces. Eat them all at once or as needed over the course of a ride. 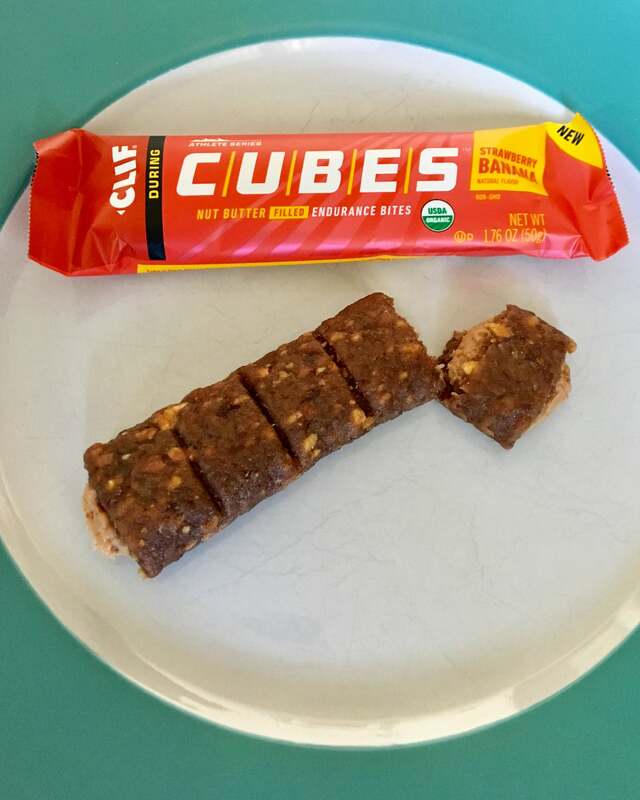 At first impression, the Cubes are less dry than traditional Clif bars. We haven’t gone for a ride with them yet, but we suspect they’ll be much easier to eat during high performance situations like races. And they’ve got the great flavor you would expect from Clif. The Double Peanut and Strawberry Banana flavors we tried are both winners. 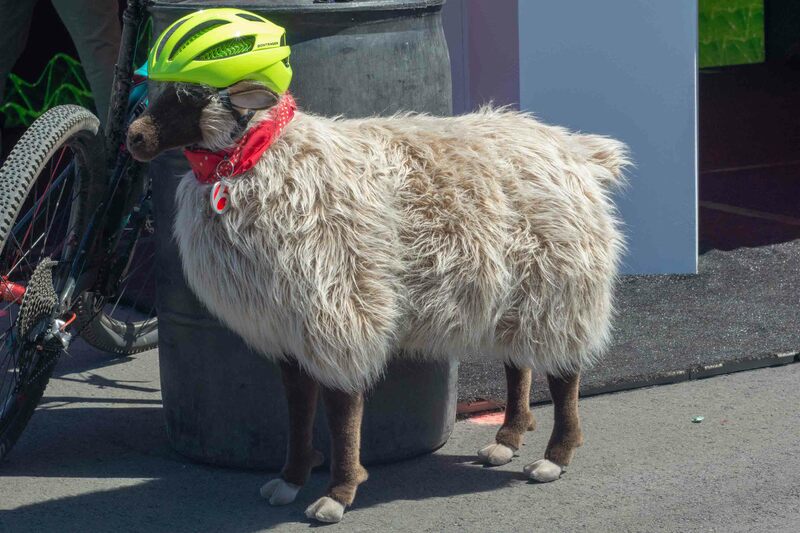 And, finally, Bontrager would like to remind ewe to wear a helmet.